Hey gang, Valkor here. 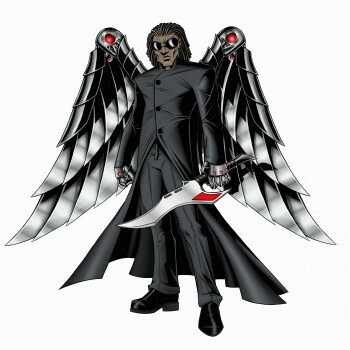 With two products down, we’ve got one more to tackle from the gang at Digital Innovations. And this round they’re looking to give “Whoosh!” a run for its money with "ScreenDr”. In short, it’s not only about giving the screen of your smartproduct and big screen items like monitors and LED/LCD televisions a shine, but also promotes good health. Read on. 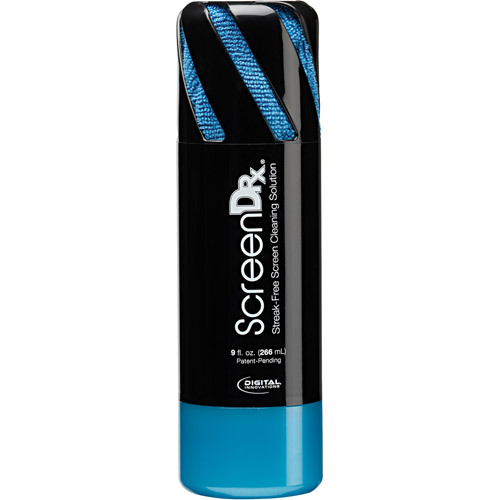 ScreenDr is an alcohol and ammonia free cleanser, which comes in multiple sizes – 2, 5 and 9oz cans. 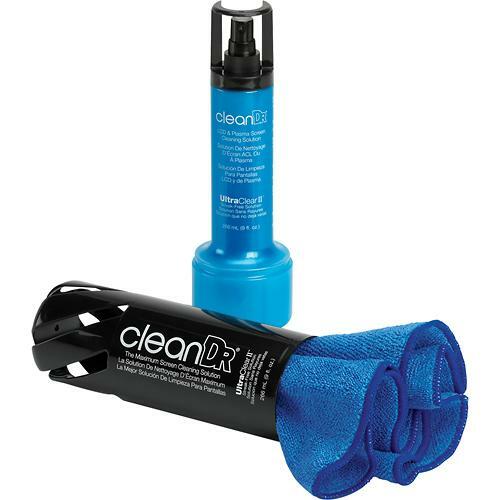 Each can also includes a microfiber cloth resting within its confines and you can buy extra if need be direct from the Digital Innovations website. To use the product you simply spray the cloth, wipe, flip the cloth over to the dryer side and wipe again to keep from streaking. This not only gives the screen of your smartphone, tablet, laptop and even television a nice glossy finish, but it also lifts any dirt and other bacteria that may be hidden on and around your screen. Prime example, whenever my nephew comes over for a visit, he always wants to play with my tablet (Nexus 6) and of course I’ll let him. And usually when I get it back, it’s sometimes covered in all sorts of gunk such as dried up juice, candy or whatever his hands have been in. Not only that, but I’ve been known to let strangers use my phone (emergencies happen), not knowing what’s going on – health-wise – in their world. Normally I just wipe down my devices, but I’ve learned that simply wiping it down just doesn’t cut it and I’ll have to take that extra step. 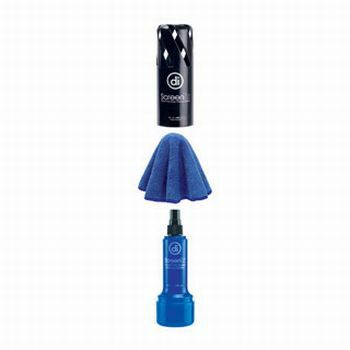 Thankfully, products such as ScreenDr are here to help to keep the grime at bay. For this review, unlike what I did for Whoosh!, I used the ScreenDr with a number of devices (polished pics above and below very related), to get an all-around feel of how well ScreenDr works. Just how did the product fare? Let’s find out as we dive into the TOV Breakdown! 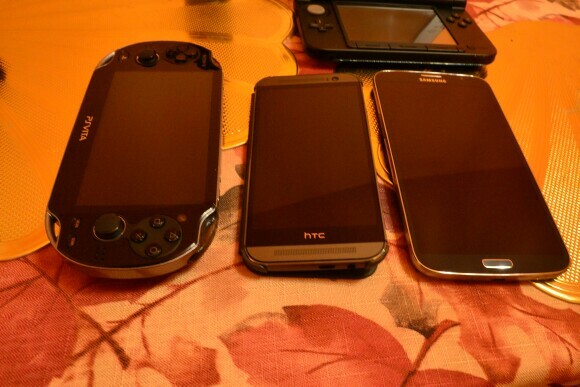 On its own, ScreenDr does an amazing job of polishing up the screens of my gadgets, making them shine like brand new. Applying the solution is different than with Whoosh! and you might have to give it a little bit more elbow grease, but there’s no denying that the end results look spectacular. I’m still unable to tell whether ScreenDr can remove bacteria and such, but I’ll give DI the benefit of the doubt and believe what they say that their product can remove the nasties that might be lurking around your devices. 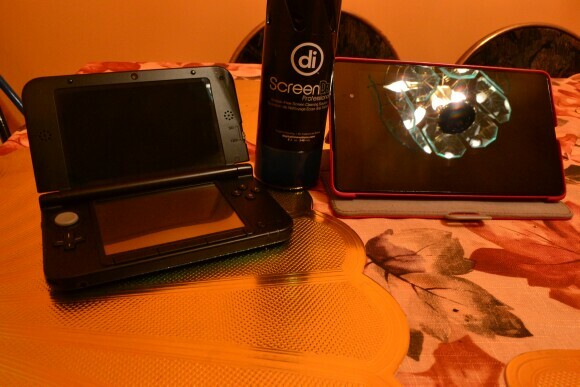 So if you’re in the market for something that’ll give your screened devices that extra glow, then consider ScreenDr. It’ll do the trick just fine. Compared to Whoosh!, while ScreenDr does clean up screens nicely, but it doesn’t do a good job of playing keep away with smudges. After a coat, touching the screen of say the Galaxy Mega, the smudges and prints reappear. Plus it costs more, BUT you get more with ScreenDr, for the amount that’ll pay for two bottles of Whoosh! (and both come with the cloth). 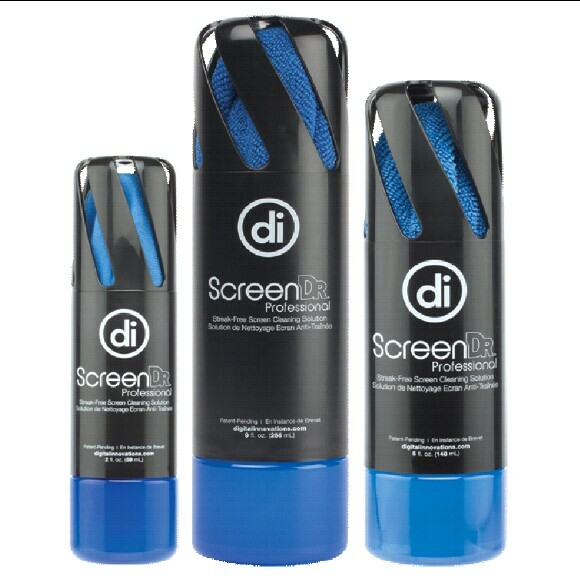 Digital Innovations, you’ve scored a TOV trifecta as ScreenDr screen cleaner has earned you another win. 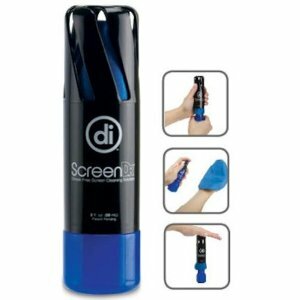 It gives your screened devices a nice polish and it keeps it virtually germ free. Great for your home or office… or if your office is in your home… you get the idea. So out of TOV 5 stars, I’m giving ScreenDr a 4. And it’s been Valkor tested, TOV Approved!